Are your marketing efforts a success? If they aren't, we can help. Take advantage of our content strategy blueprint to get the best return on investment for your business! It doesn't matter whether you’ve tried every technique you posssibly can, or you're paddling in the shallows not knowing which direction to go in, investing in our expertise is a sure way to get results! You may think your results are slow coming – or maybe they've failed to arrive at all. At Red-Fern Media we hear it often. It’s a big worry, frustration and complaint of business owners. Red-Fern increased organic traffic by 149% using the same blueprint! Sometimes you invest in websites and digital marketing plans that don't provide you with the results you're looking for. Businesses come to us frustrated by the lack of quality leads their current marketing plan is producing. You may have unrealistic goals, poorly considered personas or incorrect keyword planning that’s causing the problem. It could be that a website was built with none of these things in mind. Whatever the reason, your marketing budget isn't fulfilling your ambitions and your techniques are failing. What Do I Need to Read Before Getting My Blueprint? 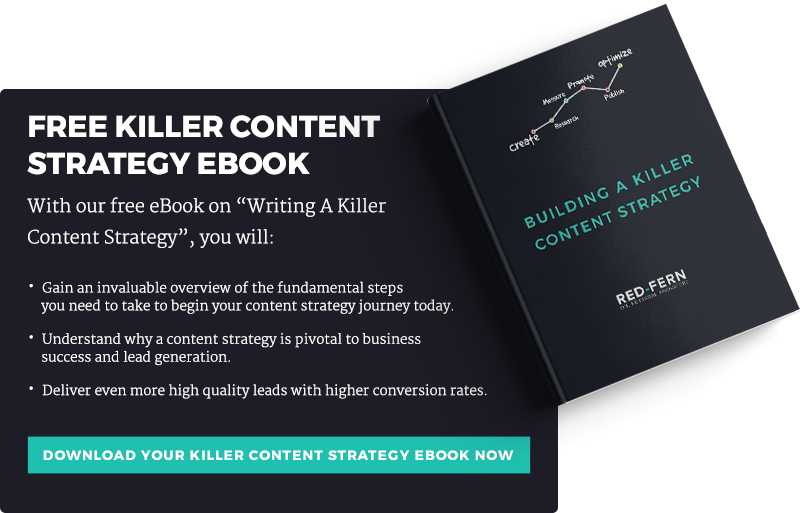 We’ve developed a purpose-built content strategy blueprint specifically with you in mind. It offers your business a strategic plan that identifies and outlines the direction your company’s marketing should take. This is a complete inbound campaign blueprint spanning three months, providing website page mock-ups for conversion, detailed buyer personas, keyword research and an in-depth content strategy. It aligns marketing activity with business growth goals, and helps you achieve your goals through tailored online campaigns that drive traffic, leads and sales. The ultimate aim of the blueprint? To turn your website into your best performing sales person. A comprehensive user journey to ensure more website visitors and qualified leads. The next three-months of marketing activity in a simple and easy to follow format. A complete guide on how to attract, convert, nurture and delight prospects in a clear plan. Red-Fern's leads increased by a staggering 716% with this strategy! Buyer persona and journey research and development. Keyword research, planning and recommendations. SEO focused blog post outlines. SEO optimised content writing guide. 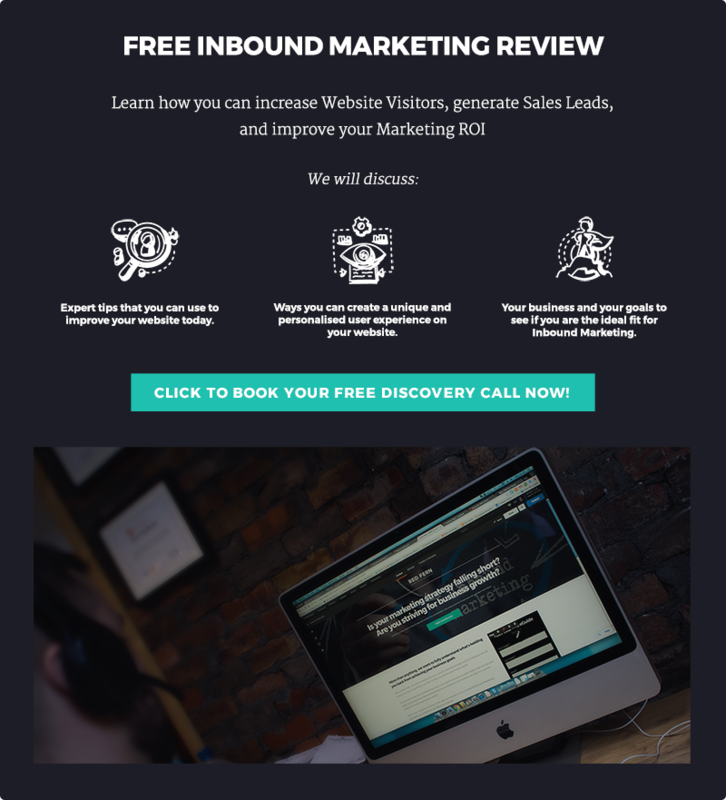 It’s a comprehensive full-service tailored to your business, sign up now for a FREE inbound marketing review.